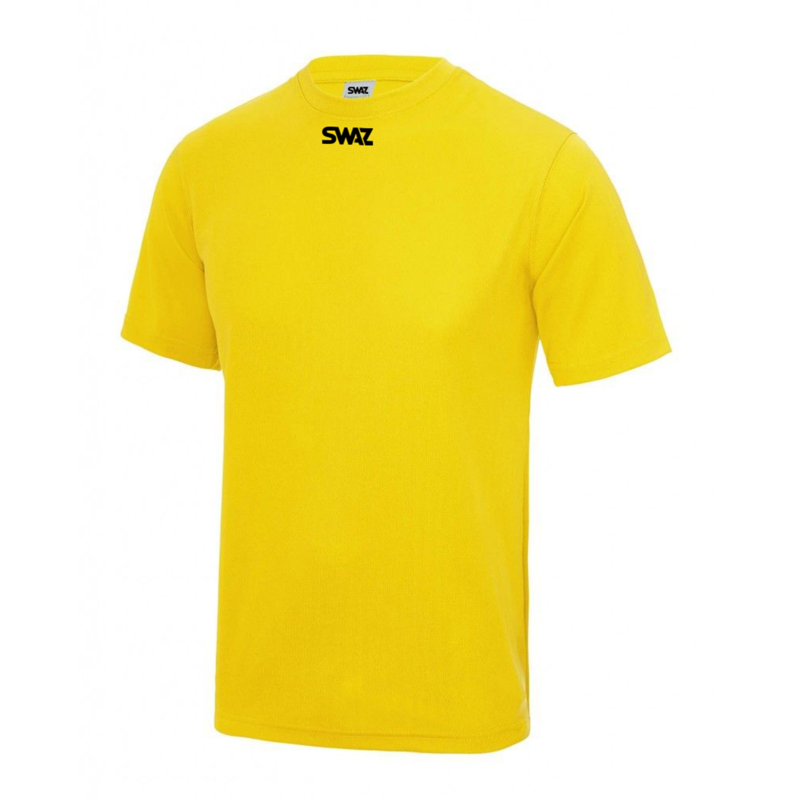 The SWAZ Club Training T-Shirt offers a relaxed fit. They are designed to benefit both comfort and sporting performance using ultra soft micro fabric alongside a self-fabric collar. It’s taped neck design allows easy movement and a fitting, yet relaxed feel. 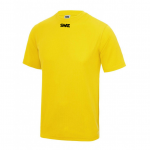 This T-shirt is fully customisable and is available to buy in a selection of colours and sizes to adapt to any football club, giving a professional and sporting style to your side. It’s moisture management system paired with its UPF 30+ UV protection makes the training T-shirt an essential for any upcoming football club. This T-shirt can be worn for training or for match day warm ups. 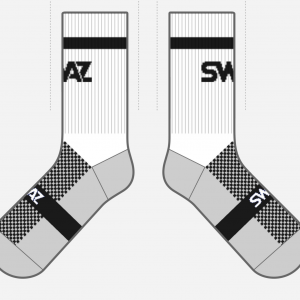 When paired with the SWAZ Training Shorts and the SWAZ Crew Socks, the T-shirts create an efficient, specialist outfit, that can be made to suit your club’s needs. Our SWAZ branding is subtly placed on the right shoulder of the garment. There are multiple colour variations available. The colour shown is in Yellow.